My name is Michelle and I am 36 years old. I have been married to my wonderful husband for 8 years – together 11 years. We have one child, Michael Richard (Mikey), who will be three in June, 2014. We also have two cats, Anibel and Mama. I love to read, listen to music, take pictures, learn new things, gardening, hiking, spend time with family and friends and of course shop (what girl doesn’t). I was diagnoised with Fibromyalgia when I was about 17 or 18 years old. It took my doctor about three months to diagnose me. I was just feeling pain all over my body, having trouble sleeping and just not feeling like myself. I have been living with this disease for over 15 years now and it doesn’t get any easier. I think as I am getting older, I am finding things happening to me and my body, which is due to the fibro. In order to start trying to have children, I had to get off of all my medicine. Because of that, I have not been on any medicine for over 7 years now. It has been a very hard struggle. I do take supplements and try to watch what I eat. I have tried exercising, but I always feel worse after. Everyday is a struggle but I know I have to deal with it. Some days it is very hard to get out of bed because of the pain. Then when I do have a flare up, I feel sorry for myself and get depressed. I know that is all part of the disease, but it never gets any easier. I know how hard it is for people to understand what fibro is all about, so it is hard for them to support me. I do have some support from family and friends, but the others just don’t understand. Nobody really understands unless they are going through it. I know as I get older, things are just going to get worse. As I mentioned, I am 36, but sometimes I feel like I am much older. Somedays I just wish I could feel my age and be able to do certain things. Well, I just have to do what I can and live with what God has given me. Things happen for a reason! 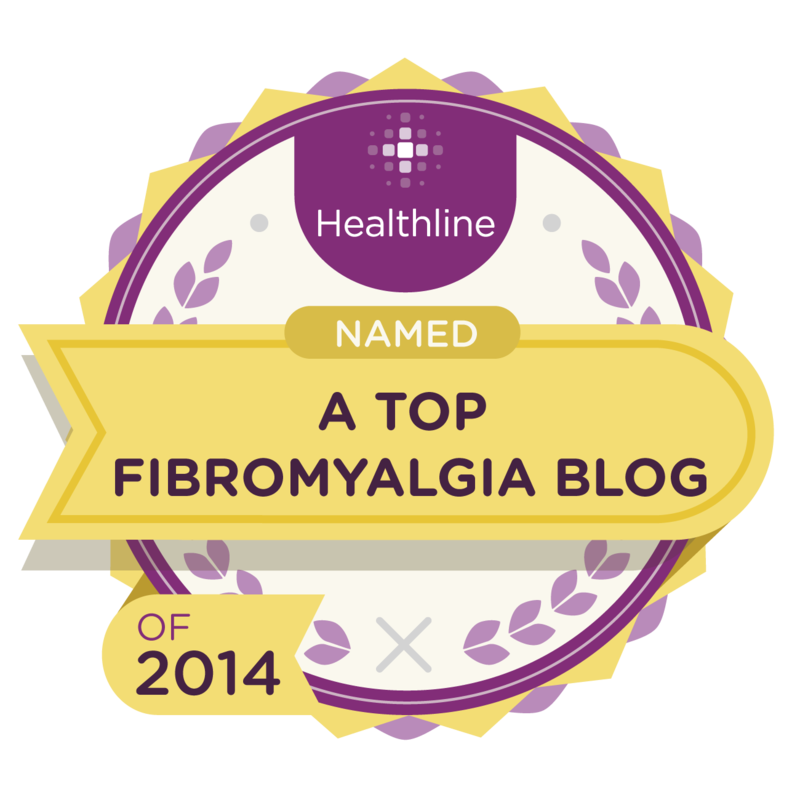 I have started a directory of Bloggers who educate, support, enlighten, inform, inspire and motivate people about and with Fibromyalgia. I would really like to include you and your blog. Please have a look at the information for Bloggers on my site: http://fibromodem.wordpress.com/fck-directory/for-bloggers/; and, if you would like to be included, please follow the directions and then email me at fibromodem@hotmail.com. I hope you choose to be part of this new project. Thank you for allowing me to share my blog. I just emailed you! Thanks for writing this blog- it is helping me! I am new to fibro, having been just diagnosed I’m 25 and I’m a musician and music teacher… luckily I am not sensitive to noise except when I have a migraine! I have had migraines for about 10 years now, and have medicine that I take for them. I guess they are part of the fibro, but this “pain all the time” thing only started 6 months ago. I’m hoping that I can figure out a way to lessen the pain, but I haven’t been too successful so far. I’m pretty good at pretending I’m not in pain though, especially when I am teaching. I guess I’m used to the acting part, because I used to get migraines all the time. Other than the pain and trouble falling asleep, the thing that bothers me most about this is that I feel all of a sudden like I am weak and I would like to be strong again! Anyway, it is helpful to communicate with other fibro sufferers, even though it makes me feel bad that so many other people have this :(. I came across your site when I fell in love with this gorgeous ring you posted on pinterest. I just LOVE it. More importantly, I see that you have FM. It breaks my heart that you, and so many others, have to live in so much pain. My little sister was 18 when she was diagnosed with Multiple Sclerosis so there is a special place in my heart for all people who live with these conditions. I couldn’t hesitate to tell you though, that my sister as well as a friend with FM have found relief with LifeWave patches. My boyfriend started using them after he finished radiation therapy for a brain tumor that was removed and we are so eager to share them with anyone who might benefit from them. Please email me if you want more information or have questions. May God bless you and I pray that you will be relieved of your pain. Hi Maris. It took my husband and I 5 years to get pregnant and it was a long, hard battle. I always used to laugh when people said stop thinking about it and it will happen. Well, that is what we did and we had Mikey five months ago. It was very hard because I have been off all of my medicine since we started trying. I still am because we want to try again next year. Once we have 2 children, I will probably go on medicine. Big thing to decide on. Hang in. I can’t believe you had fibro since 17. I have just discovered your site and live in australia. Would you mind to look at my site about fibromyalgia? I understand what it is you are going through. My mother has fibromyalgia, and it’s very hard to see her go through it. their are days that she can’t even get off from bed because she won’t be able to walk since her leg muscles are tender. Her muscles get like big balls on her back and legs, she has had to stop doing her favorite things. My mom’s favorite hobby is cooking, she was finally able to open her restaurant and because of this disease she had to close it down. like you mentioned that not everyone can understand its true, she only has support from her children, dad, her husband, and friends. I bet it hurts your family to see you in pain all the time, because it sure does hurt me to see my mom in pain, i come home from school and there are days when i would just see her crying because of the pain. I recommend to maybe lay down on the floor, that helps her alot. when she is in alot of pain she lays on the floor and that helps her calm down. MAY GOD BLESS YOU! You have a very nice blog – congratulations on the new installation! I’m wondering if you would be interested in syndicating your blog on MyFibro.com – we have strong traffic and this would almost certainly benefit both of our sites. Please contact me to discuss further. I don’t want to turn your blog into a solicitation forum. Sorry to leave this as a post but I don’t see any other way to contact you. Take care – I hope to hear from you soon. You’re very lucky to have a husband who loves you and sticks with you. Those of us who aren’t so fortunate try to cope alone, and it’s difficult. Friends can only do so much, and it’s hard for them to understand what we’re going through. I have found acupuncture to be one of the best things ever. I go to a woman who studied in China, and who is very sensitive to my needs. She will only use the thinnest needles, and lets me tell her when I can’t lie still anymore. She’s not on my health insurance so I can’t see her as regularly as I’d like, but even one or two sessions with her helps. I can’t get regular massage, as it worsens my FM, but the acupuncture has been excellent. So try to stay as positive as you can. We can be thankful for the small things no matter what: sunlight, music, people in our lives, pets. It helps get us through the tough moments. Thanks for joining our blog hop – this is a new thing for us so we are still trying to understand how it all works. I would love you to recommend our hop to your blogging friends. Hi Michelle. I left a comment on your old website, and then found the new one, and realized I’ve been here before. I have had FM and CFS since 1992 and possibly… probably… since 1988. I got a lot worse in 1992. I am 56 now. One of the hardest parts of having this is feeling alone, and having no-one to talk to, because there are so many things wrong it sounds as if I’m a freak. Pain, crushing fatigue, super-sweating, and chills with the sweating, and, as you blogged, so many sensitivities including noise. Even good noise becomes upsetting and painful. I can’t stand background music or TV, or often, even conversation on the phone. And then that inability to focus, as you said, and trying so hard to listen to what someone is saying, yet I can’t seem to hear it. This happens at church, in restaurants (I rarely go to restaurants) and at work. I am currently hanging onto working as a registered nurse for about 2 days a week and even that’s a struggle. As Janet commented, I need at least a day to do nothing afterwards, but work takes so much out of me I usually need three days or more. I am very blessed to have a very supportive and understanding husband. And our adult children are wonderful. Oh I can’t stand noise. My husband doens’t understand that because he always has to have noise. When I do listen to music, it is very low and relaxing. I love Celtic Woman when I need to relax and have nice soothing music. It took my husband a while to understand what I was going through. Once he had to come home from work to help me out of bed and to the toliet, he realized that this is bad. Also, he had to help me shower a few times. I am not looking forward to this cold weather. My body hates it and I never have a life but in bed. I love you BFF. Thanks for looking and commenting. Michelle, I love your blog! I have had fibro for at least the last 20 years, and maybe longer. I am 56 now and can remember pain in my childhood that my parents brushed off as “growing pains”. I’ve lost count of how many doctor’s I’ve seen over the years, trying to find a diagnosis. I’ve been on so many different medications. Some might have helped a little but most had side effects that made it impossible to continue taking. Right now I’m seeing a doctor that has been treating fibro for the past 20 years. Her treatment plan for me right now is glutathione injections and taking ATP20 by mouth. I’ve been doing this for almost 3 months with not much change in symptoms. For people like us, we have gotten to the point that we will try most anything, if it will give us part of our lives back. Thankfully I have a very understanding husband and daughter. Other family members try to understand but not sure if they really do. I would love to have a really clean, uncluttered house! But with fibro I’ve learned to lower my standards. My daughter is 13 and, bless her heart, she understands that mom can’t go and do like the other mother’s can. If there is something that I feel I need to go do with her, I just plan ahead for taking the following day to do nothing but rest. It’s like that with most any activity. Just plan on the day after being a totally shot day, unable to do anything. One thing I’ve done that has helped some is getting off of artificial sweeteners. I was addicted to Diet Peach Snapple! Love that stuff!! But I read somewhere that artificial sweeteners aggravated the symptoms of fibro. I got off of it and I really could tell a difference. I pray that someday there will be a “magic” pill that will help us all live a more pain free life with energy to spare! That is my dream anyway. God bless you for this blog and all of the information you have gathered! I’ve bookmarked it and will be coming back often! I enjoyed reading your blogs. My story sounds so very similar dating back to when I was much younger and over the years the pain has continued. I am glad to have found these supportive sites that are providing useful information for us that are dealing with this condition that seems to be affecting more and more people. I have tried several medications and seem to get very little relief, but I pray as times progress it will get better for me so that I can fulfill my dreams and aspirations for myself and my family….thanks for the information on the artifical sweetners. Learn something new everyday…. will updated to see after seeing the results. I found your link over on LinkedIN, the Blog Zone, and thought I’d visit your site, make introductions and have a look around. A Chance encounter for me as I’ve suffered with chronic pain for over 5 years, though I’ve not been diagnosed with Fibromyalgia. I am the author of the blog, Above the Line:Practical Movie Reviews and would enjoy hearing your thoughts about my site, especially if you’re interested in movies. I write from the perspective of a movie enthusiast who is also a movie maker. It appears you have a lot of information, research, and dedication in your blog. It is important that you keep going with your blog as you are helping so many people who face this illness every day of their lives. I like that you’ve included links to health and nutrition issues plus other blogs to follow. Hi Rory. Thanks for the comment. I have your site up to look at because I do love movies. Thanks for the feedback. I really appreciate it. I hope you will subscribe to my posts. I love getting to meet new people from their blogs and to see what other people write about. Hello! Just wanted to say I love your blog! So much so I am giving you an award titled “One Lovely Blog”…it was passed to me by a wonderful friend and fellow blogger! Then you can pass it along to 15 of your favorite blogs! Please see my blog for details! Hi Michelle, I am 40 and live in the UK. I was diagnosed with fibro a few months ago but they think I have had it for at least 10 years. Not as long as you. I also have Polycystic Ovaries which made me infertile. Then I met a lovely Gynaecologist got put on Clomid and I now have a wonderful son who is 14 years old and perfect. My point to you is don’t give up on what might seem the impossible, there is always a way. If you have good support around you and your husband wants a child as much as you then you will find a way. I think fibro stinks!!!! The pain is never ending with extreme highs; I’m talking emergency room highs. Then there’s the constant pain, the one that never goes no matter what you take, this is the killer pain for me, this is the one makes me fight with depression every day. But we are great actors, we can put a smile on our face and tell people we are “not too bad today” when inside your head feels like it is being crushed, your legs are full of cramp, your back feels like it’s going to snap and your neck can not support your head. But we are “not too bad today”. But then I get a hug from my son or my husband saying “I know you’re hurting I can tell. I do love you so much! I wish I could take it all away” it makes me feel loved but I’m glad it’s me and not them that has to go through it. Watching your loved one or child go through this amount of pain would be and must be just as horrible. Fibro affects everyone not just the person who has it. That’s why we have become such good actors; we don’t want our loved ones to suffer as well. Plus making you look and act better does for the most time make you feel a bit better in yourself and keeps the dreaded depression at bay. Let’s hope for a while at least. We all have our bad days, I’m not just talking about pain, I mean mentally. Days when we are fed up with it, don’t want to feel pain anymore. I think it is good to have these days to a degree in the sense you get rid of the frustration and stress of it all. Some might cry; some might have a blazing argument with a partner or parent, but it gets rid of the stress that is building up in us. Then we can go back to being positive and good actors. We can always find a positive and that’s what we need to hold on to, because it’s those positives that get us through the day and the next day and so on. Yes fibro stinks but there are many more things out there that stinks a heck of a lot worse. So here is to acting, good days, loved ones and the hope of a cure! and I’m sorry for them. It’s a lousy disease and very few understand. Keep the Faith and you’ll get through it just as I am………. I totally understand. I just turned 34 and my fibro has gotten much worse. This is the first winter where I have been freezing non stop for months in a row with increased pain. I saw that you are posting on our Fibro Facebook here (Mary is in charge, you just accepted my friend request), how blessed we are to receive more info, thankyou! Anyway! Thank you for helping and connecting with us out there! Big hug! !